According to the Washington Post, Big Al’s knee was swollen and he’s decided to skip his third attempt at a conditioning test that he must pass before he can practice with the rest of the team. The Pro Bowl defensive lineman, who injured his knee while twice failing to pass a difficult conditioning test during the first two days of Redskins training camp, plans to sit out again today in hopes of passing Monday and being cleared to practice, two people familiar with the situation said early Sunday morning. One source said, however, said that Haynesworth could change his mind and insist on being retested before Sunday’s morning practice. But the source also described such a scenario as being unlikely. 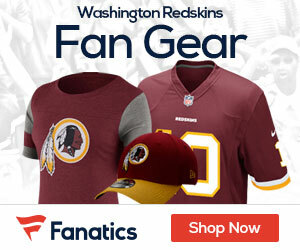 Haynesworth’s knee was swollen when he arrived at Redskins Park on Saturday, prompting team medical personnel to recommend treatment and rest before he again attempts to complete two, timed 300-yard shuttle runs. Fortunately though, Haynesworth is not completely missing instruction on the new 3-4 defense the Redskins will be running. …he has received individual tutoring each day from defensive coordinator Jim Haslett and defensive line coach Jacob Burney. Haynesworth is very far behind his teammates in learning Washington’s new 3-4 scheme, so Haslett and Burney are doing what they can to help get him up to speed. Several team sources, however, say Haynesworth eventually must join in 11-on-11 drills if the team hopes to have him ready to start the season. If Haynesworth is going to get back to 100% before the season starts, he’s going to absolutely need to pass this mandatory test this week. At this point, Mike Shanahan may be looking at another few days before his star defensive end can even show up to practice to work at half speed, never mind football shape. Things are certainly getting worse before they get better for Haynesworth.